Pauline Mary Austin a lifelong resident of this area passed away, Wednesday, February 1st, 2017, at her home surrounded by her family. Born in St. Albans on August 30th, 1944, Pauline was the daughter of the late Gaston and Theresa (Gratton) Garceau. She was 72 years old. Pauline was married to Ralph A. Austin, who predeceased her on April 10th, 2013. 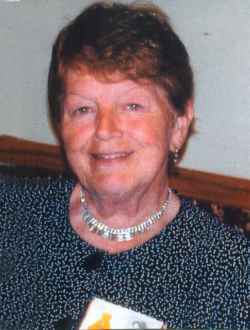 She was educated in St. Albans and was a 1962 graduate of Bellows Free Academy. She was associated with SCOT for 18 years in Data Entry. She was a member of the “Rubies in the Red” Red Hat Society, enjoyed playing bingo and cards, especially “500”. Pauline is survived by her two sons, Anthony of St. Albans and Matthew and his companion, Karen LaPlant of St. Albans, as well as her granddaughter, Jenna Austin, who Pauline dearly loved. She is also survived by her siblings, Henry and Marlene Garceau, Rene and Betty Garceau, Lou Ann and Roger Reed, Roland Garceau and Greg and Julie Garceau; her sister-in-law, Ramona and Richard Giroux; many nieces and nephews and her canine companion, “Little One” and feline companion, “Baby”. In addition to her parents and husband, Ralph, she was predeceased by sister-in-law, Judy Garceau and several nieces and nephews. A special thanks to Aunt Lou Ann, for the care and support she gave Pauline, Anthony and Matthew during her illness, also to special friend, Rex Cote, who was always a great help and was always there for her and also to Jeanne Dubie from Hospice, who Pauline said was her “Angel”. A Mass of Christian Burial will be celebrated on Friday, February 10th, 2017, at 11:00 A.M. at Holy Angels Catholic church, 245 Lake Street. At Pauline’s request there will be no calling hours.